Murray Banks is one of the nation's most sought-after speakers in the area of lifestyle and its impact on performance. His success as an educator, athlete, and long-time professional speaker, coupled with his genuine optimism and enthusiasm, make every presentation a starting point for personal and professional growth. Murray Banks is the consummate presenter whose messages hit home with CEOs, sales teams, managers, educators, front-line service personnel, and clerical staff. He is a master storyteller with a knack for finding humor in the most unlikely situations. Murray's messages are always personal, interactive, and entertaining whether they're delivered before 4000 in a convention center or 40 at a management retreat. 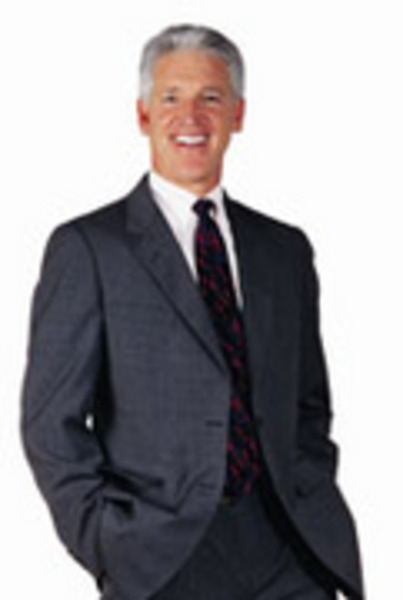 Murray Banks is an award-winning teacher and the consummate professional speaker. He's taught at every level-elementary, middle school, high school, and at a major university. He's taught in a city school district and in a small, rural school in Vermont . He was Vermont 's TEACHER OF THE YEAR in physical education and was honored nationally with the OUTSTANDING EDUCATOR AWARD. His classroom stories and student anecdotes are poignant and hilarious. Because Murray frequently works with Fortune 500 companies, he brings a challenging message about performance, accountability, and success. Murray's presentations are highly interactive and personally tailored for your organization. As one client comments, "You complemented our strategic direction and sales program emphasis beautifully. Your immersion in the advance materials about our organization cemented your credibility early on and had a rapport established with the audience within the first minute. You broke the mold and established a new threshold of excellence in effective presentation!" He was a top finisher in the Ironman Triathlon World Championship in Hawaii in 1983 and 1984. He is also a 6 time National Champion in both triathlons and cross-country skiing and is a 2 time skiing masters world champion. Your life comes to work with you and leaks out all day! You can't avoid it. Your well-being and balance affect your creative thinking, problem-solving abilities, and interactions with customers and co-workers—not to mention your productivity. Healthy, positive people have the stamina and focus to stick with challenging tasks, work long hours, and deal with stress. Murray's humorous and thoughtful presentation hits so close to home that participants will immediately want to share what they've learned with family and friends. The Ultimate in Customer Service! Murray's dynamic customer service presentations are the perfect complement to your in-house training. He will highlight the importance of body language, name recognition, eye contact, facial expression and tone of voice. Murray will help your team understand that working with customers takes enthusiasm, humor, and a "here and now" sense of purpose, and will show them how to develop these qualities at an emotional and a lifestyle level. Successful leadership is style and persona! Great leaders create a mindset for work teams who know how to get the job done. Murray will challenge managers, CEOs and future leaders to balance enthusiasm, knowledge, compassion and mental toughness to create work teams that people love to be a part of. Murray will blend his leadership experiences with specific skills, audience interaction and motivation to move you from management to leadership. We go with what is familiar... even if it kills us! That's because we love the "Comfort Zone," that familiar place where consistency and normalcy rule. In this presentation, Murray humors, cajoles and inspires participants to convert the stress of change to the challenge of change. His cartoons and images of change-resistant people...the ones who die but continue coming to work...will have your audience laughing as they are learning. Murray provides specific skills for staying at the cutting edge of change...and enjoying it. We go with what is familiar... even if it kills us! That's because teachers love the "Comfort Zone," that familiar place where consistency and normalcy rule. In this presentation, Murray humors, cajoles and inspires educators to convert the stress of change to the challenge of change. His cartoons and images of change-resistant people... the ones who die but continue coming to work...will have your audience laughing as they are learning. Murray provides specific skills for staying at the cutting edge of change in education...and enjoying it. (Luncheon Keynote) Your life comes to school with you and leaks out all day! You can't avoid it. Your well-being and balance affect your creative thinking, problem-solving abilities, and interactions with students and colleagues—not to mention your productivity. Healthy, positive people have the stamina and focus to work with challenging students, teach long hours, and deal with stress. Murray's humorous and thoughtful presentation hits so close to home that teachers will immediately want to share what they've learned with family and students. Murray's dynamic teaching presentations are the perfect compliment to your staff development training. He will highlight the importance of body language, story telling, eye contact, facial expression and tone of voice. Murray will help your teachers understand that motivating students takes enthusiasm, humor, and a "here and now" sense of purpose and will show them how to develop these qualities at an emotional and a lifestyle level. Successful leadership is style and persona! Great leaders create a mindset for exceptional schools. Murray will challenge school administrators to balance enthusiasm, knowledge, compassion, and mental toughness to create school teams that people love to be a part of. Murray will blend his leadership experiences with specific skills, audience interaction and motivation to move your school administrators and board members from managing to leading. **FEE NOTE** Murray offers a discount to Education Groups.